Great resources from the DU Writing Center. 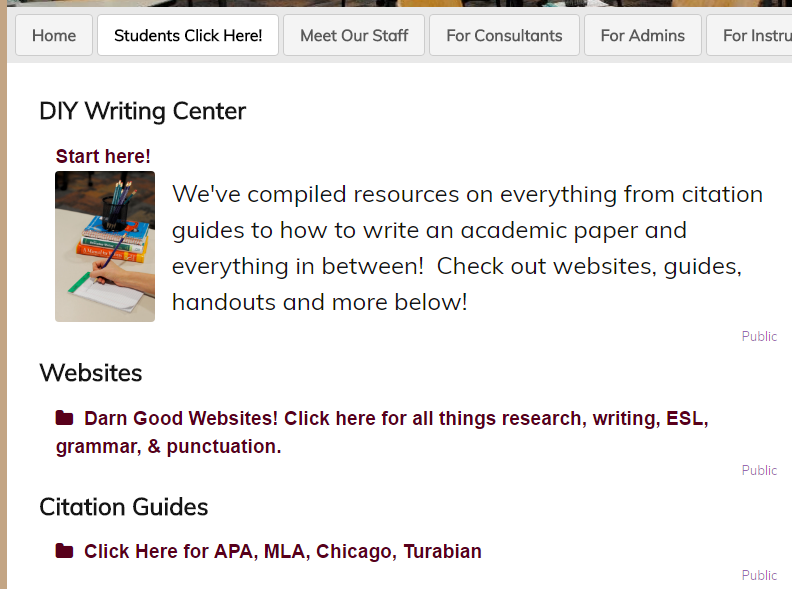 The Writing Center at DU has created a Portfolio site with writing resources including style guide handouts (MLA 8th ed., APA, Chicago, & Turabian). In addition to providing information on how to make a Writing Center consultation, it features great websites that cover lots of areas of writing like grammar, punctuation, academic writing, job writing, and ESL resources. Additionally, it links to the library homepage, research guides, recorded workshops, and consultation page.